Absolutely great to work with, shipping was fast, item was as described!!! 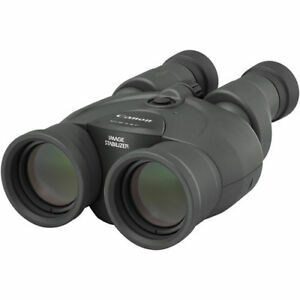 Great compact binoculars with IS to boot! I wasn't sure what to expect other than Canon quality and I was pleasantly surprised! They are very lightweight and a compact size but pack a real punch. 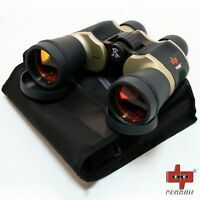 I needed a light pair of binoculars because I also carry my DSLR and huge lens around my neck so the binoculars really needed to be light and these sure are. The optics in them are fantastic and objects look almost 3D. You can look into a bush and see all the branches separately as if you are looking at it in 3D. Then there's the IS! It is incredible. I can be hunting for a bird, find it then push the IS button and it locks right on for identification. This is critical for me and it works flawlessly. The only caveat, as everyone else seems to agree with, is the rubberized coating on the body. 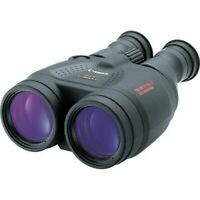 It helps by keeping a tight grip on the binoculars but also tends to get scratched easily or lose some of the coating from constant use. I'm sure Canon did this for a reason but it is a little annoying. Other than that, they are totally perfect for my use! Had a pair of Canon 10X 30 and the IS unit quit. these are the mark II version and so far work great. Couldn't get Canon to service the Mark I. Still work, glass is good, just jitters a little! Great quality glass, and the stabilization is rock solid. Very compact and light weight. Excellent eye relief. 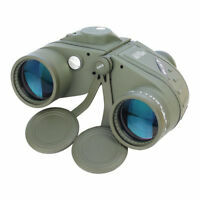 Bought them for my father he shakes so bad, hasn't been able to look thru binoculars till now, the technology is amazing!